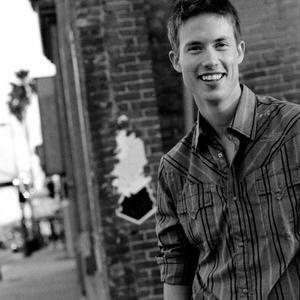 Jonny Lang (born Jon Gordon Langseth, Jr. in Fargo, North Dakota, January 29, 1981) is a Grammy Award-winning American blues and gospel singer. In 1995 (at the age of 14) his first album, Smokin' by Kid Jonny Lang & The Big Bang was released. As a result of the LP becoming a regional hit, a major-label bidding war ensued that culminated in Lang signing to A&M Records in 1996. In 1997 (at the age of 15) his major-label debut, Lie to Me, was released to mixed reviews. In 1995 (at the age of 14) his first album, Smokin' by Kid Jonny Lang & The Big Bang was released. As a result of the LP becoming a regional hit, a major-label bidding war ensued that culminated in Lang signing to A&M Records in 1996. In 1997 (at the age of 15) his major-label debut, Lie to Me, was released to mixed reviews. Part of his success is due to a voice that sounds like that of 40 year-old blues veteran, containing a harshness tempered by a fine falsetto that has taken prominence in his newest albums. Another part of his success is his scorching, electrifying guitar solos, which display a prodigious natural talent honed by years of practice and playing. Whatever the secret to his success, the youngster has quickly become a fixture in the blues world, drawing crowds wherever he goes. Lang has drawn deeply from the wellspring of influences from the likes of Stevie Ray Vaughan, Albert King, Luther Allison, and Albert Collins. As he becomes more confident in his role as a veteran instead of a boy wonder, one can see the possibilities he has yet to share with his fans.